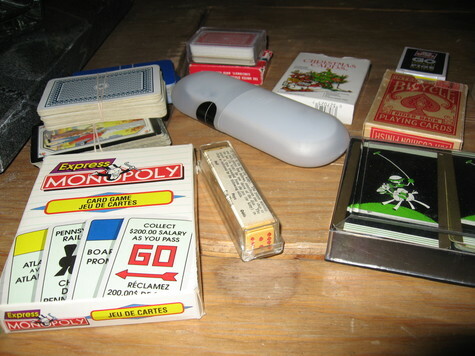 A variety of playing cards most gently used, a couple new, card games and seasonal cards. Also a set of poker dice. At least 17 decks of cards. Selling all for $10 Lot sale Great for cottage entertainment.